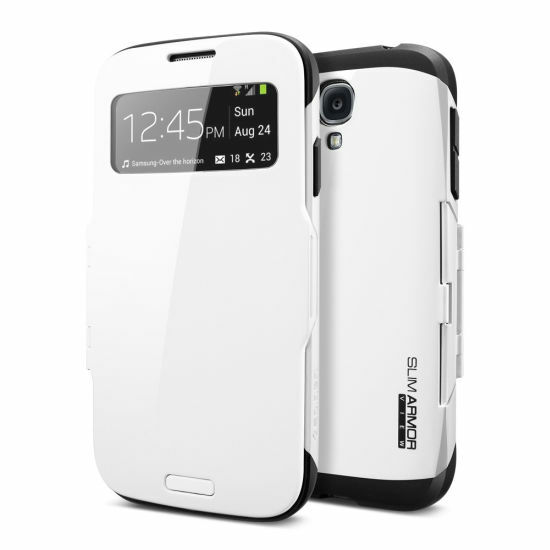 The SPIGEN SGP Slim Armor View for the Galaxy S4 is a hybrid of our Slim Armor and the Samsung S-View Cover that offers a new and innovative flip case designed specifically to increase the user experience. 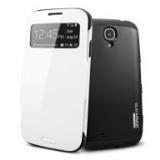 The Slim Armor View is a case which offers full body protection for your Galaxy S4. 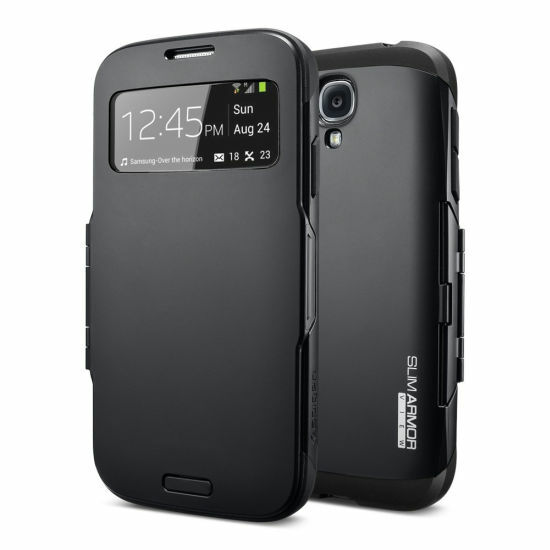 It takes our popular dual layered Slim Armor case and includes a polycarbonate flip cover to help guard your phone against scratches and accidental drops. 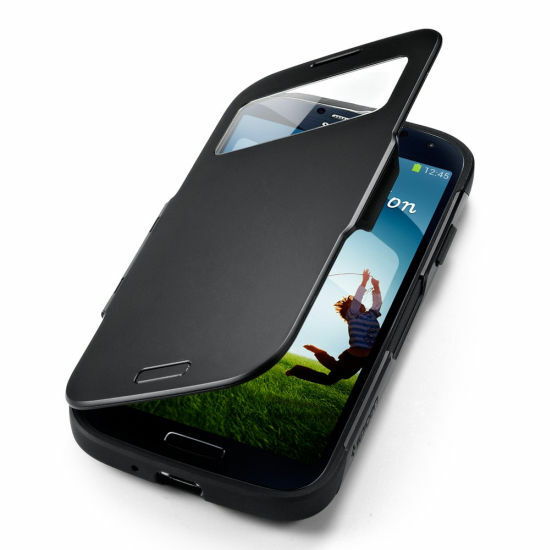 The removable flip cover is attached by a special hinge allowing the cover to be folded all the way back with ease. 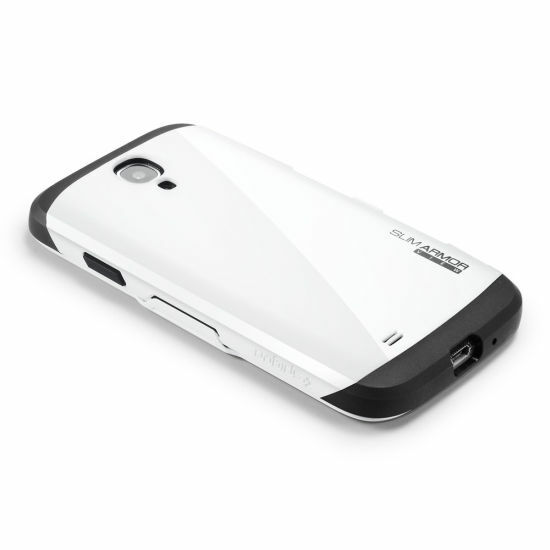 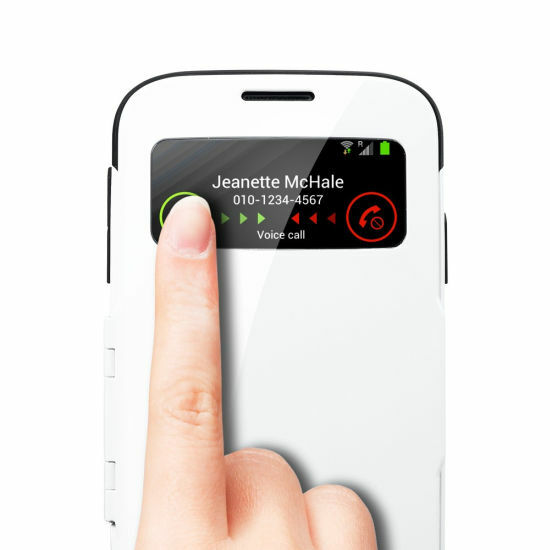 The Slim Armor View also includes the automatic sleep/wake function when the cover is closed and opened. 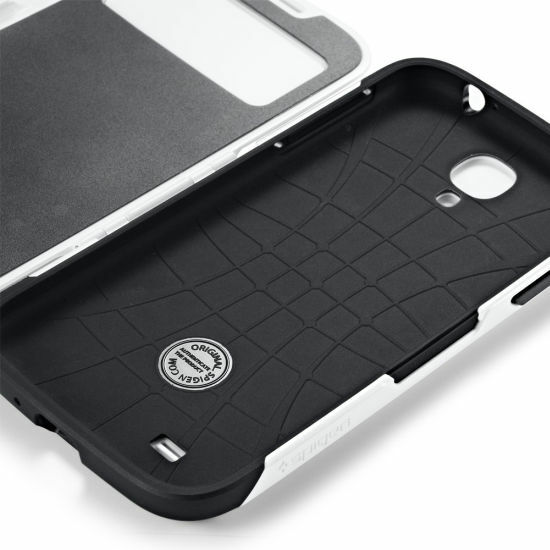 The sophisticated and optimal design makes this case one of a kind.